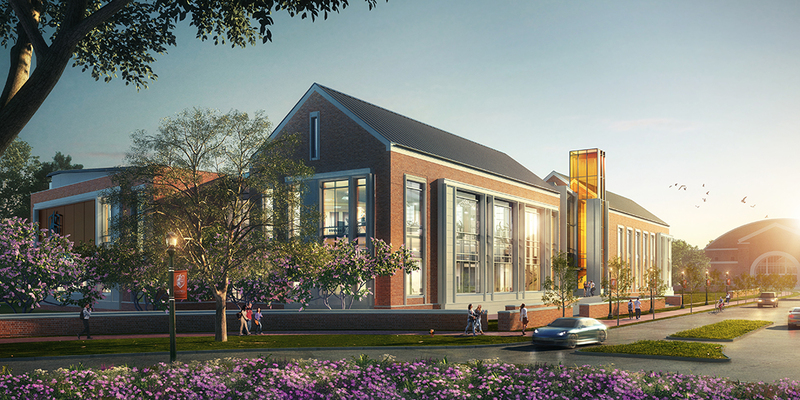 Home / 2018 / April / Campbell University breaks ground on new student union. Campbell University broke ground on the construction of their new Student Union on April 25th, 2018. Falcon provided geotechnical subsurface investigations for the building and will continue our services through construction providing testing and inspections. As the Alma Mater of Falcon’s President, Margaret Robertson, we are pleased to see the advancements that Campbell has made over the years and are proud to be a part of another iconic project on the University’s campus. When it was his turn to take the podium at Wednesday’s groundbreaking ceremony for Campbell University’s new student union, Vice President for Business Jim Roberts asked the crowd of 300-plus to take out their programs and turn to the centerfold.